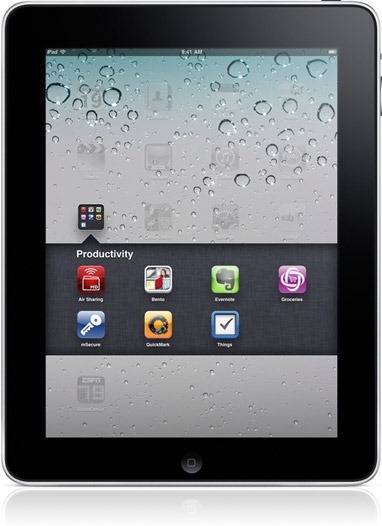 Earlier this week, Apple announced the much awaited iOS 4.2 update for the iPad. It brings tons of new features to iPad like Multitasking, Folders, Printing, AirPlay, Game Center and more. This update will surely make the iPad a perfect tablet for doing tons of things quickly and efficiently than ever before. Apple has now posted the details of all the features which iOS 4.2 would bring to the iPad, iPhone and iPod touch. This is probably the most awaited feature for the iPad. You can switch quickly between your apps without sacrificing any performance or battery life, and jump back right into your app from where you left it! Folders let you arrange your apps in one place so that you can access them quickly later on, and the best part is, iOS will smartly name the folder according to the type of apps you place inside the folder. Something which we really missed in iOS 3.2 for iPad, but it is finally here now! With this new feature, Printing documents and pages wirelessly will be a breeze. Mail, Photos or webpages, you can print all of them wirelessly right from your iPad. Game Center is a great way to track your friends and their achievements in different games. You can also play a match with your friends in multiplayer mode. Surely a great way to keep yourself entertained for hours. In other words, its a complete social network for gamers. With AirPlay, you can wirelessly stream videos, music, and photos from iPad, iPhone and iPod touch to the new Apple TV, and stream music to AirPlay speakers or receivers, including AirPort Express. See messages from all your accounts in a unified inbox, organize messages by threads, and open attachments in third-party apps. In Safari, easily find and highlight specific words and phrases on large web pages. Complete list of features can be found on the official website here. iOS 4.2 will be available for iPad, iPhone and iPod touch as a free update in November of this year. but will it finally have voice control? if not, i aint updating till its jailbroken. Voice control is a must have. i was wondering, anyone that know, or any rumers, about the new ipod touch,, if it support usb or memory stick ?! word dokumments ? Voice control called VoiceOver has been on iPhone 3GS and 3G for a long time. On an iPad why?